Teach for America recently released numbers showing that its 2014 class is the most diverse in its history. It should be lauded for this. Like many other TFA alumni of color, I saw that the organization didn’t always act to include members of the populations it serves. In recent years, though, I have seen TFA push toward recognizing a need for diversity among its teachers. TFA must continue to move in this direction — hopefully faster. I believe that the organization can live up to its mission of developing “leaders who work to ensure that kids growing up in poverty get an excellent education.” But in order for this mission to be properly executed, a certain amount of humility is required — a humility that has often been lacking. My current professional experience in Hawaii — or Hawai‘i, as the nation is called traditionally and as TFA teaches its staff to refer to it — has shown me the kind of humility that TFA and education reform in general can benefit from. I gained much of that knowledge by watching members of TFA Hawaii interact with other community members, a reason why I think this region’s operations could be a model for other regions. In particular, I’ve been positively transformed by the concept of kuleana — a sense of proud obligation and responsibility. To lots of local students growing up, kuleana meant something you had to get done. It was your kuleana to clean your room, or your kuleana to babysit siblings. For educators in Hawaii, kuleana is the sense of responsibility we feel to meet our students needs and help them achieve at high levels in the hope that they’ll return to the community and pay it forward one day. We know that we are privileged to live in Hawaii, and that our duty is to listen to our ‘ohana, the community, and the kupunas, or elders as we seek to do this. Other external forces that don’t consider Hawaiian context are not necessarily constructive. All reform should learn the broader lesson of respecting the history of oppressed people. Hawaii is also a small place — literally (the islands themselves are encompassed by one district) and figuratively. It’s similar to living in a small town: everyone knows everyone and talks about everything. This sounds menacing, but it’s important when we think about community-based education. The open dialogue leads to an increase in community involvement and deepened investment in the cause. The major difference that I experience working here is the cultural reverence and sense of identity that an outsider (like myself) learns and eventually takes on if they want to remain part of the community. Local culture, especially in community organizing, often values time and effort on island and strong relationships more so than prestige of alma mater. I hope all educators, especially those working in communities to which they do not belong, learn this ethic. In addition, students in Hawaii learn Native Hawaiian history, hear Hawaiian language in government offices, and have teachers who understand the need for conversations about cultural ancestry. Therefore, teachers must learn from and respect the many cultures of their students if they want to impact their students. As of 2013, the majority of Hawaii’s residents identified as Asian American and Pacific Islanders. That matters, especially when one of the biggest struggles with education reform has been that the reform movement itself is too white. When those advocating for change at the school and state level better represent your students, it’s much more likely that the reforms will adjust to fit the cultural needs of schools and students — even with basic ideas like text and communication styles in the classroom. A commitment to community culture and voice must serve as the foundation for education reform in Hawaii. It also must serve as the basis in ensuring culturally responsive teaching for our students. Rifts deepen over direction of education in the U.S. This is the area in which I have seen TFA have more success in Hawaii than in other regions: A consideration for local values was consistently part of its operating model, and a desire to bring teachers from Hawaii back to the island quickly became a part of the region’s focus. It is by no means perfect, but TFA’s operation in Hawaii has seen far more success than many other regions when it comes to meeting the students they serve on a cultural level. Instead of showing students and families what we think they need in education, we turn to them for understanding. As an outsider, it often makes me pause when I want to disagree or correct what I think is an incorrect practice or notion about education. Instead of immediately jumping to the conclusion that something is wrong, I ask myself: why do I think this is wrong? Is it because it is, or because I am attempting to impart my own understanding or beliefs on a community that might not share my values? We do this because of kuleana. If the conversation flows from a deep commitment to serve the people around us, then perhaps we can lay our weapons down and end the inequality put in place by others. 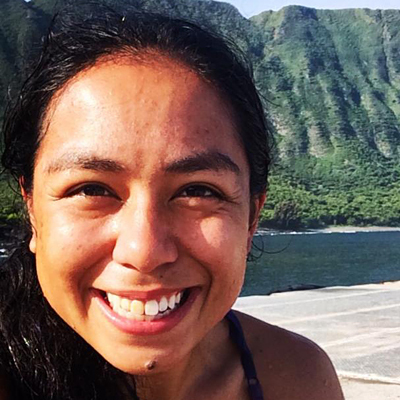 Christina Torres is an English teacher at University Laboratory School in Honolulu, Hawaii. Previously, she was a Teach For America staff member, and a 2009 Los Angeles corps member. She is an alumni of the University of Southern California and Loyola Marymount University, You can find her on Twitter at @biblio_phile. Andre Perry and Alexandria Neason contributed to this article.